If you’re ready for a performance fastback, the 2016 BMW X6 M takes the 2016 BMW X6 to the next level to fill that order. With a powerful engine and great handling, this vehicle is a testament to the greatness of German engineering. It is only available in a single trim level, but with a powerful vehicle like this only one option is needed. The 2016 BMW X6 M is equipped with Xenon Adaptive Headlights, LED fog lights, and M quad tailpipes to create an impressive image. Corona headlight rings and cornering lights, power-folding side mirrors, an M rear spoiler, and retractable high-intensity headlight washers complete the list of exterior features on this model. 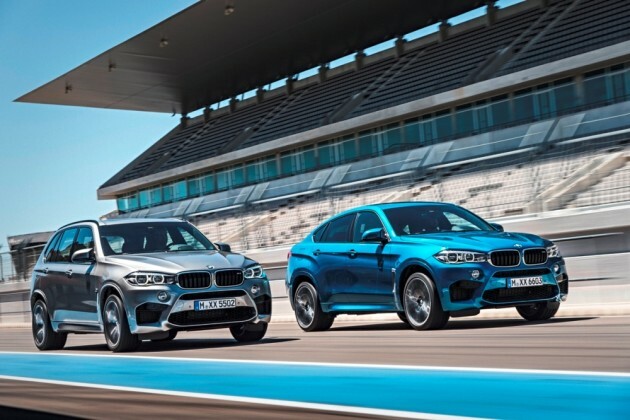 We know this is what you really want to know about the BMW X6 M. Under the hood is a 4.4-liter BMW M TwinPower Turbo V8 engine that comes standard, coupled with an eight-speed M Sport Automatic transmission. It achieves 567 horsepower and 553 lb-ft of torque. With Advanced Cruise Control, rear-view camera, Advanced Real Time Traffic information, and automatic four-zone climate control, the 2016 BMW X6 M is ready to take on the road. It also has great technology features such as a Harman Kardon Surround Sound system and the BMW navigation system. The X6 M is also equipped with interior features like 16 speakers, Bluetooth, Park Distance Control, and heated seats. The 2016 BMW X6 M is fully equipped to keep you safe as you enjoy this powerful machine. With features like automatic-locking retractors, a rollover sensor, and BMW Remote Services, you can drive easy knowing your safety is taken care of. The list of standard safety features continues with front airbag supplemental restraint systems, adaptive brakelights, central locking system, LATCH attachments, and BMW Assist eCall.